Stamp reads: 252110. You would be looking at a pattern # 25 with a single regular Spear master blade made in 2010. Stamp reads: 735208. You would be looking at a pattern # 73 with two blades. The master blade would be a Drop point/Skinner, and it would have been made in 2008. In addition to the standard pattern number, GEC blades & tubes can sometimes contain additional letters that were stamped or written on to identify additional features about the knife. The abbreviations used up to the date of writing are listed below. 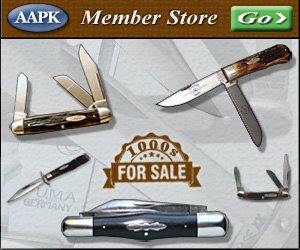 Be sure to stop by our store when you’re done here & shop for Great Eastern Cutlery brand pocket knives to add some examples of the many different great patterns & configurations.